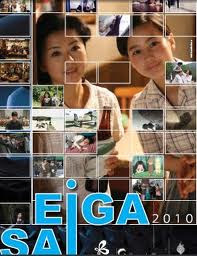 "Eiga Sai,” which means "film festival" is now on its 13th year is organized by the Japan Foundation, Manil, a Embassy of Japan, The Shangri-La Plaza Corporation, UP Film Institute. "Departures" is their cream of the crop movie for the year, winner of the 81st Academy Award for Best Foreign Language Film in 2009. For more information you may visit Japan Foundation, Manila, you may click here or call +632) 811-6155 to 58.